The Deccan College & Research institute, in Pune is the third oldest educational institution in the country. પુના સ્થિત, દી ડેક્કન કોલોજ એન્ડ રીસર્ચ ઇન્સ્ટિટ્યુટ, એ ભારતની ત્રીજું જુનામાં જૂની કેળવણીની સંસ્થા છે. 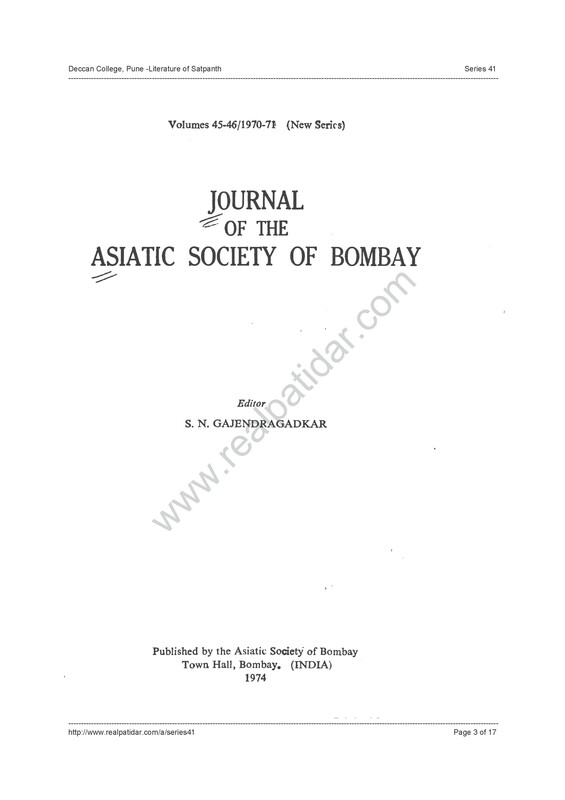 In its vast collection of priceless old book sand documents, it has got the literature of Satpanth religion. A researcher Mr. Gulshan Khakhee has done analysis of the literature and presented a short note to be able to easily understand the literature. સંસ્થાની બહું મુલ્ય અને જૂની પુસ્તકો અને દસ્તાવેજોના સંગ્રહમાં સતપંથના ધાર્મિક પુસ્તકો પણ છે. એક સંશોધનકાર, ગુલશન ખાખી સાહેબએ વિશ્લેષણ કરીને એક ટૂંકો પણ બહું ઉપયોગી લેખ લખ્યો છે, જેનાથી આપણે સતપંથ ધર્મના સાચા સાહિત્યો સમજવા સરળતા રહશે. ઈમામ શાહએ હિંદુઓને વટલાવીને સતપંથમાં લઇ આવ્યા છે. ઈમામ શાહી અથવા સતપંથ એ એક નીઝારી ઈસ્માઈલી પંથ છે. તેમનું મુખ્ય મથક પીરાણા, ગુજરાત છે. જૈન દર્શન: યાદવોએ ગાયને કાપીને ખાઈ ગયા. જોગ દર્શન: હિંદુ દેવોને ઇસ્લામી પૈગમ્બરો અને ઇસ્લામના મૂક્ય ધાર્મિક નાયકોસાથે જોડી દીધા. સાહિત્યોમાં કાલ્પનિક વાતો લખી છે. that though there are names of Hindu Gods and Godessess with Islamic elements, with the help of taqiyya, all followers of Satpanth are ultimately lead to Islam. ભલે ઇસ્લામી તત્વો સાથે હિંદુ દેવોના નામ છે, તાકિયા વડે, છેવટે એક અનુયાયીને ઇસ્લામ તરફ લઇ જવામાં આવે છે. 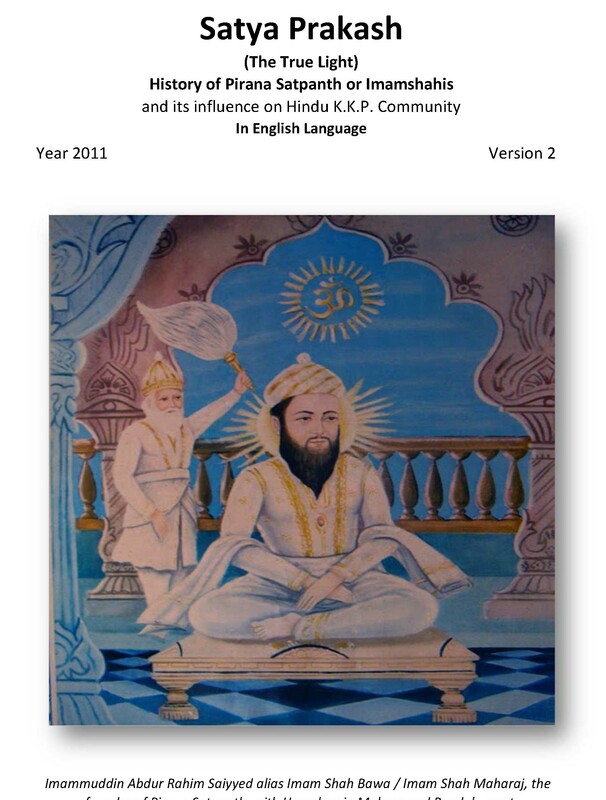 Satpanth takes Hindu religious values and blends them with Islam to make way of easy acceptance of Islam by Hindus, ultimately leading the believer to Islam. હિંદુ ધાર્મિક મૂલ્યોને ઇસ્લામના તત્વો સાથે મિશ્રિત કરીને હિંદુઓને ઇસ્લામ તરફ લઇ જવાનો માર્ગ સરળ બનાવવાના પ્રયાસ રૂપે સતપંથ ઉભો કરવામાં આવ્યો છે. 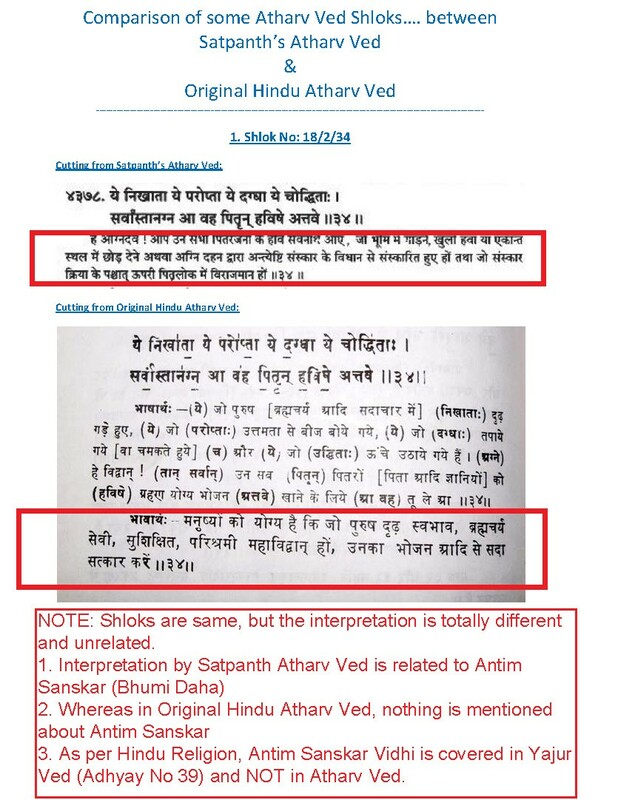 Jay Guru Dev n Jay Laxminarayan……..
pahela mane e kaho ke 1432 varsh pahela mushlim loko kon hata ane patidar loko kon hata ??? pa6i tamara badha problems solve thayi jase…..
friend ,,hu tmane olkhto nathi pan tmo bhuj sari mahiti lavi uvano same muko chho.. It real good information to all real patel/parasiya….. Please try and spread the information about this website to as many people as you can. This is a fake research made by Muslim philosher and the first three lines itself tells the reality. If the pholisopher could came to Faizpur, the article would be real and different. But I appreciate your hard work for searching and spreading this type of nonsense information. By the way, we are also having a book written by the Philosopher on Satpanth, the name is Satpanth : Swarup aur Karya, which is the real literature on satpanth. Dont waste your time dear. First, let me bring to your notice that researches are never made by a Philosopher. Research is conducted by a Researcher. Further, you have tried to give a communal colour to the issue, by memtioning that the researcher is a Muslim. Without diverting from the main issue, you must know that even in todays’ times, “the religious head” of Pirana Satpanth or Imam Shahi as it may be called, is Muslim. See http://www.realpatidar.com/a/series36. You should note that the main governing institution of shrine of Imam Shah, at Pirana has never issued anything to the contrary. this is a true research. i will proove that satpanth is muslim riligiouns. 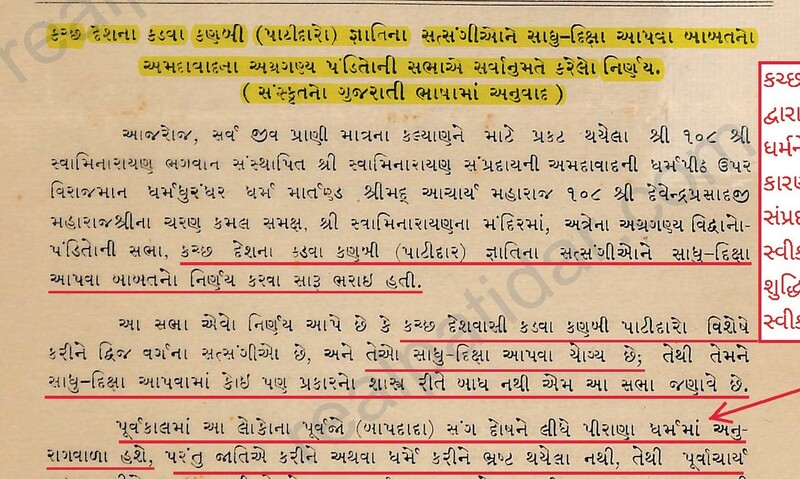 Previous post OE 41 -Mandvi Taluka -Historical Decision -Relations with Satpanth are permanently cut / માંડવી તાલુકા – ઐતિહાસિક નિર્ણય – સતપંથીઓ સાથે સબંધ કાપવામાં આવ્યા.